Why Should You Join STC? Why Should You Join the WDCB Chapter? The following is information about how individuals and corporations may join STC and the membership benefits in STC and the Washington, DC – Baltimore (WDCB) Chapter. The STC membership structure includes several categories of membership, each of which offers a different value to members. Before joining, please read the descriptions of each type and their related dues on https://www.stc.org/membership/. Annual dues are payable to STC on January 1 (membership year ends on December 31). Membership may not be transferred or assigned to another person. STC dues are tax deductible. A receipt and membership card will be mailed to you after your payment is received. New members joining after 31 January pay a prorated fee. Refer to the chart of membership levels and dues at STC Membership Levels and Benefits for how to figure the rates for new members. Dues are paid to the Society for Technical Communication and include membership in a local chapter. Initial chapter assignment is made upon approval of the membership application, and a portion of each member's dues is rebated to the local chapter. Fifteen dollars is applied towards a subscription to the quarterly journal, Technical Communication, and $15 is for the monthly magazine, Intercom. New: Each new application or renewal must be submitted under separate login credentials (userid/password). Otherwise information contained in member accounts could be overwritten if you log in with your regular STC membership login. The Society office will send out the first renewal notice to all members by e-mail the first week in October. You may renew your dues online starting in October. The first U.S. postal mail to members (including a renewal invoice) will be sent out in mid-November. The renewal deadline is 28 February if you want to vote in the STC elections. See the Chapter Partnerships and Sponsorship page for how organizations and corporations may sponsor our chapter. STC established the Corporate Value Program (CVP) to meet the individual needs of corporations. The CVP offers a variety of options, tailored to meet individual corporate technical communication needs. CVP may include membership for all staff members or just a few. A large variety of benefits are offered to meet the individual needs of each company. Benefits include the following and more. There are two forms of the Corporate Value Program: Group Discount and Membership for Marketing Purposes. See the Corporate Value Program (CVP) page for more information. Full access to the Society's jobs database and salary survey. Full access to the membership directory. 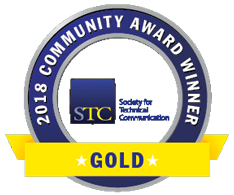 Full access with search capability to STC's award-winning publications: Intercom, Conference Proceedings, Technical Communications Journal. Voting privileges in STC elections. Society-level recognitions, grants, and awards. Forums for sharing your expertise, expressing your professional opinion, and building a reputation within the industry. Share your expertise and give back to the profession of technical communication. Training seminars and workshops to advance your career. Health and other types of insurance plans. STC helps shape the entire profession—and you help shape STC. Serving on a Society-level committee or taking on the duties of office ensures that your experience benefits technical communication for years to come. Publishing opportunities in STC publications and newsletters. Polish your presentation skills and share your knowledge by speaking at an STC conference or seminar. You may affiliate with your local chapter and other STC chapters or SIGs that interest you for an additional $10 each. 1 The nonmember fee goes into our chapter's operating expenses. 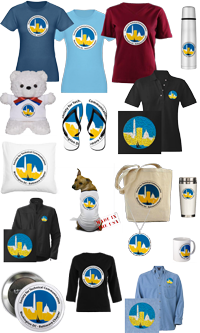 See our STC Information: Membership page for information about who STC is for and what the Washington, DC – Baltimore (WDCB) Chapter offers you as a member. For information about STC annual conferences / Technical Communication Summits, STC election candidates (when available), related professional and student chapters in our region, and links to membership and educational information on the Society's site, see our About STC page. For a list of organizations that are similar to STC, see the Related Organizations page.